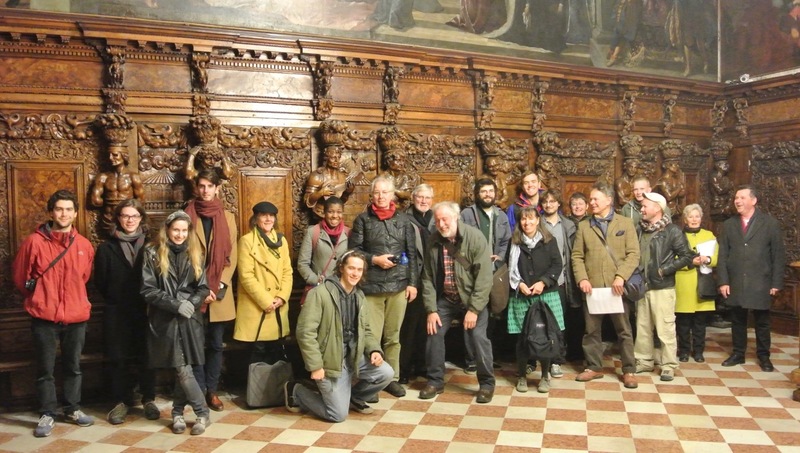 The fourth annual study trip to Venice for second-year Historic Carving and Conservation Students took place this year from 4 to 11 November. 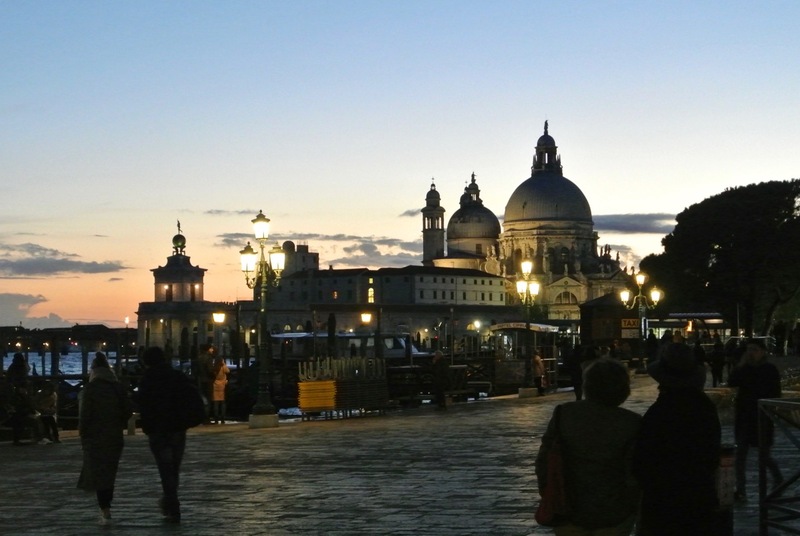 Students and staff are privileged to stay in the scholar’s accommodation of the Cini Institute, located on the island of San Giorgio Maggiore, across the lagoon from Piazza San Marco. 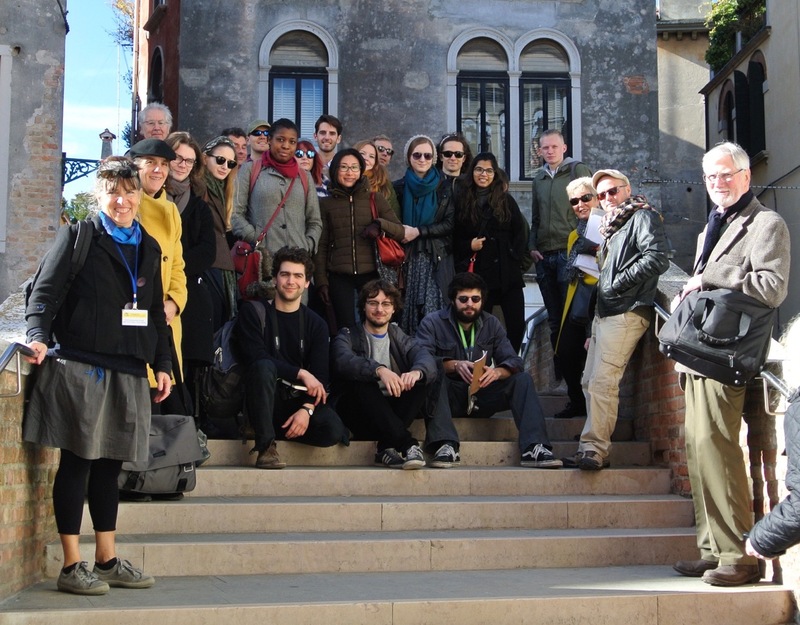 The Cini is a non-profit academic institute created for the study of Venetian art and culture, and the Art School has an ongoing relationship with this internationally recognised centre. 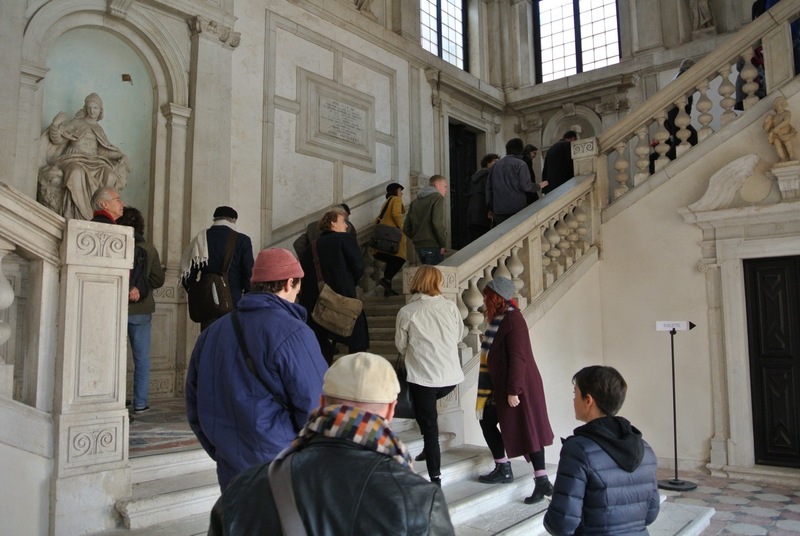 We are always privileged to receive a special tour around the monastery buildings that house the Cini, featuring the Palladio cloisters and refectory, and the monumental staircase by Longhena, who also designed the library. Marta Zoetti, Student Services Coordinor and a fellow of the Institute kindly gave of her time and knowledge to us on this occasion. 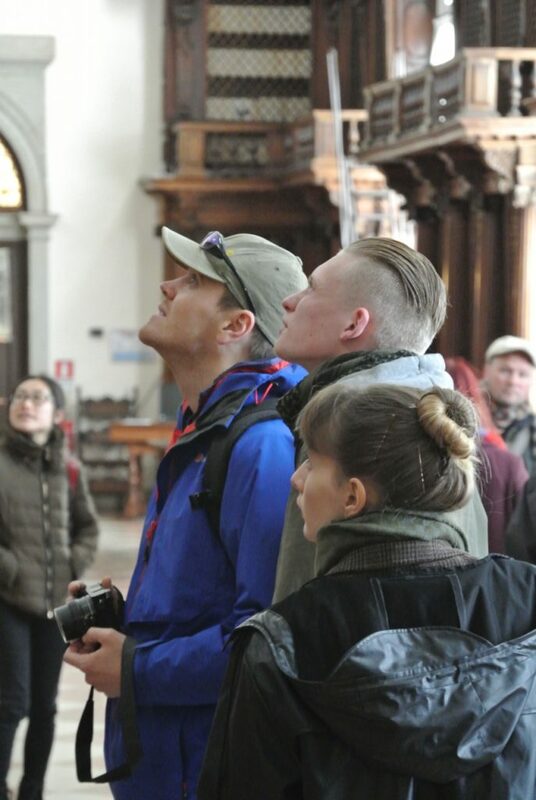 For the students participating, the visit is an unforgettable highlight of their course, as the city is the perfect venue for the study of world-class architecture and sculpture of all periods, all accessible on foot within a small radius. 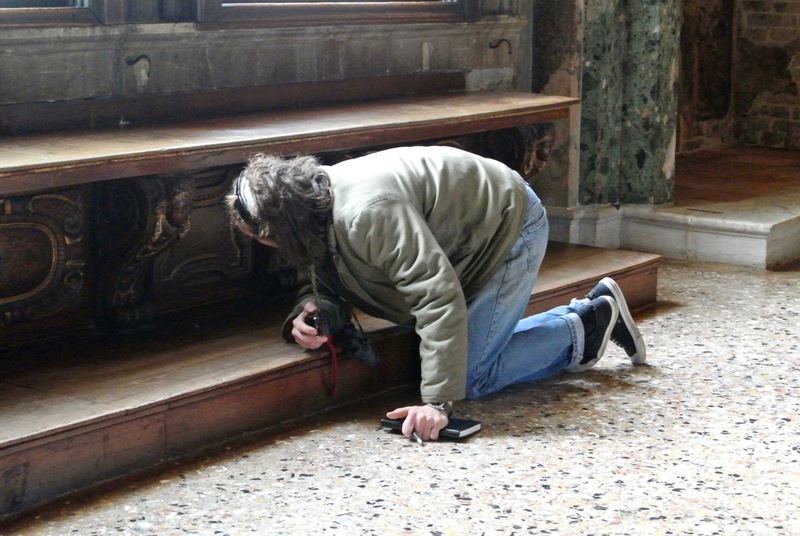 Venice is particularly rich in woodcarving, and of course also is subject to a plethora of complex conservation issues. 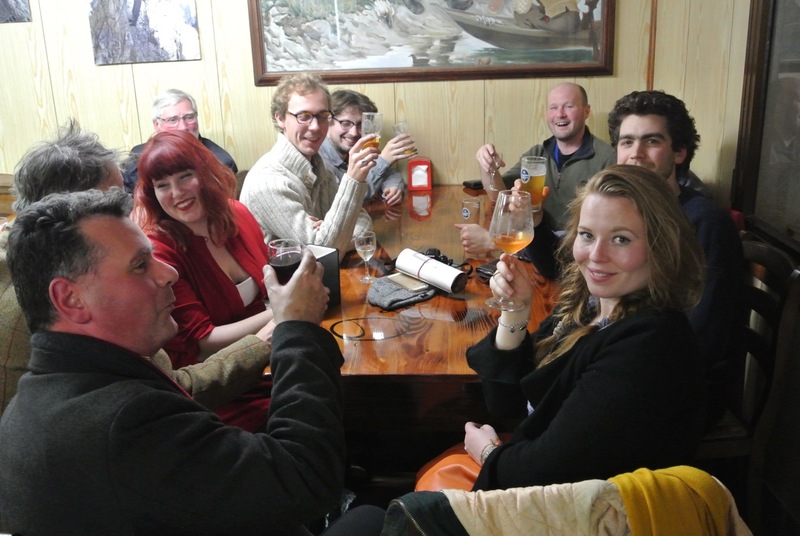 Our experienced team of tutors deliver lectures and guide the students around the city, providing specialised and focused contextualisation that is tailored to the students’ interests and needs. A highlight of the week was a private tour around the recently opened Canova Galleries in the Academia by Dr Roberta Battaglia, Assistant Director, with thanks due to John Millerchip for helping to arrange the visit. 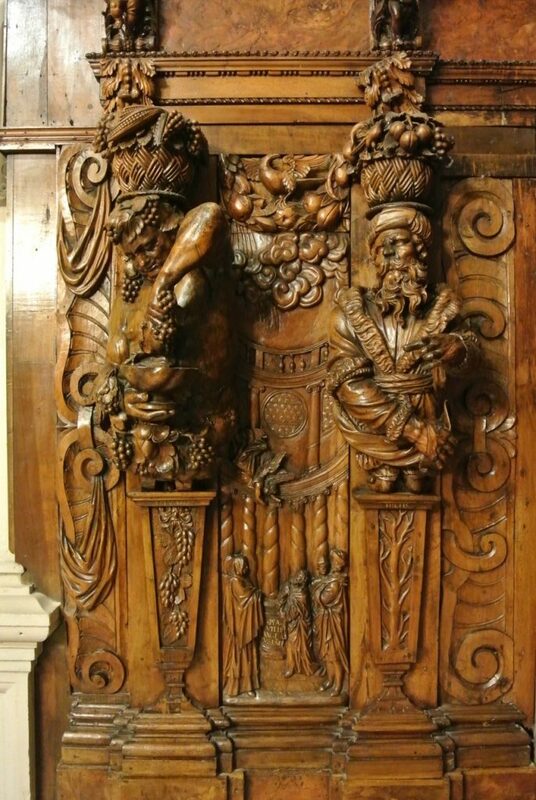 Also fresh on the itinerary this year was a visit to Murano to see the extraordinary woodcarvings in San Pietro Martyrio by Pietro Morando, something of a forgotten Baroque masterpiece. In contrast to last year’s visit, which was fog shrouded for the entire week, this time we were blessed with glorious sunny weather; the inevitable rain eventually only started just as the group set foot on the final vaporetto homewards.